1.1 These terms and conditions apply to all offers, orders and agreements of the website Flashtattooshop.com and Y3K Company The acceptance of an offer or the placement of an order implies explicit acceptance of the applicability of these Terms and Conditions. 1.2 Deviation from these Terms and Conditions can only be established by written permission from Y3K Company. In such a case all other parts of this Agreement continue to be binding without compromise. 1.3 All rights and claims, as stipulated in these Terms and Conditions and eventually future agreements on behalf of Y3K Company, are stipulated as well as on behalf of Y3K Companys enlisted middlemen and other third parties. 2.1 All offers of Y3K Company are without engagement, unless explicitly reported otherwise. Offers and conditions do not automatically apply to reorders. 2.2 Y3K Company unconditionally reserves the right to modify prices especially when it is legally required. 2.3 The Agreement will begin upon acceptance by Y3K Company of your order. Y3K Company is entitled to decline any offer or to specify certain terms or conditions to deliver, unless explicitly stated otherwise. In case of declining an offer Y3K Company notifies within three working days after receiving an order. 3.1 The buyer is entitled during one month (31 days) after reception of the product to dissolve the agreement without notification of reason and to return the product in the original, unopened and undamaged package on own expenses to Y3K Company, Pontstraat 9, 9031 Drongen, Belgium. Wholesales customers are explicitly excluded from this stipulation. 3.2 The return procedure and its conditions are described in art. 7. 4.1 Pricing information regarding the offered products and services are in Euros or British pounds, depending on clients’ choice. Pricing information does not include VAT, taxes and or other fees, unless otherwise stated or agreed in writing. Selling price for Wholesale customers, logged in on het Wholesales section, is always exclusively VAT. 4.2 Ordering cash on delivery is not possible. – payment facilities provided by Mollie (such as Ideal, creditcards, Visa, Mister Cash, Maestro, SOFORTbanking ….). 4.4 Y3K Company delivers orders after reception of full payment. 5.1 Client will take care that data such as e-mail address, name and address, bank account identification are complete, correct and updated. 5.2 Also you confirm that you have legally competent and authorized to use any service of this website. 6.1 All orders will be delivered at home address, unless a different delivery address is indicated at the moment of ordering. We aim at shipping goods 24 hours after ordering. If noticed during processing the order that we cannot meet up to delivery period, the client will be notified about actual delivery period. 6.2 If, due to circumstances beyond control, delivery of goods should take more then 30 days, Y3K Company as well as the client will have the possibility to end the agreement free of charges, after which both parties will be released from mutual obligations. Payments eventually already received will be refunded. 6.3 Stated delivery period bij Y3K Company is only indicative. Y3K Company will not be bound by the estimated date. Exceeding delivery date will not give right to compensation. 6.4 Purchased goods are obliged to be taken on the moment of delivery. In case of refusal or neglect concerning provided information or instructions necessary for delivery, purchase goods will be stored at clients risk and account. 6.5 In case of providing a wrong delivery address extra delivery costs will be at clients proper account. In case of goods delivered at a wrongly provided delivery address Y3K Company cannot be held responsible for recuperation of goods and/or any refunding of goods. 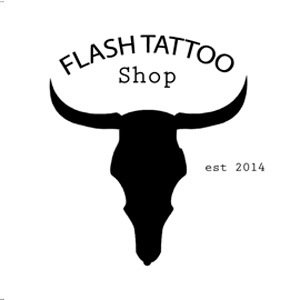 7.1 The client service of Y3K Company will first be notified through e-mail (service@flashtattooshop.com) or by letter (Y3K Company, Oeverzeggestraat 28, 1087 BV, Amsterdam, The Netherlands) before returning goods. 7.2 No returns will be accepted and refunded if merchandise is opened and damaged. Custom tattoos are not eligible for return and refund. 7.3 After reception of returned goods the complete amount of purchase will be paid back within fourteen (7) calendar days. 7.4 Client remains responsible of delivery charges for returning merchandise. Y3K Company remains the sole proprietor of delivered goods until complete selling price is paid. 9.1 All intellectual and industrial ownerships applying to Y3K Company delivered products should be completely and absolutely respected. 9.2 Complete policy concerning intellectual property can be found in the Disclaimer on the bottom of each page of the Flashtattooshop.com website as well as here. 10.1 Client is obliged to investigate merchandise at time of delivery checking for conformity with made agreements. 10.2 If not so contact has to be made with Y3K Company as soon as possible and at least within 2 working days through e-mail (info@flashtattooshop.com) or by letter (Y3K Company, Oeverzeggestraat 28, 1087 BV, Amsterdam). 10.3 Complete policy concerning restriction of liability by using Y3K Company’s Flashtattooshop.com website can be found in the Disclaimer at the bottom of each page of Flashtattooshop.com website or here. Y3K Company aims for satisfied customers. In case of complaints about merchandise and/or service delivered by Y3K Company do direct them towards us. Complaints can be directed to Y3K Company by mail to info@flashtattooshop.com or by letter to Y3K Company, Oeverzeggestraat 28, 1087 BV, Amsterdam. Answer will be received between two and at the latest five working days. Y3K Company cannot be held responsible for delay, misunderstanding, miscommunication about orders and messages as a result of communication by internet or any other means of communication between client and Y3K Company, as well as between Y3K Company and third parties, as long as these refer to the relationship between client and Y3K Company, unless in case of gross fault by Y3K Company. 13.1 Y3K Company will in no case deliver or sell personal data (name, address, e-mail address, buying information, etc.) to third parties. This agreement will be governed exclusively by the laws of The Netherlands. In case of conflicts concerning conditions, obligations, offers, orders and agreements only jurisdiction of the Courts of Amsterdam, The Netherlands will apply. This website is owned by Y3K Company.